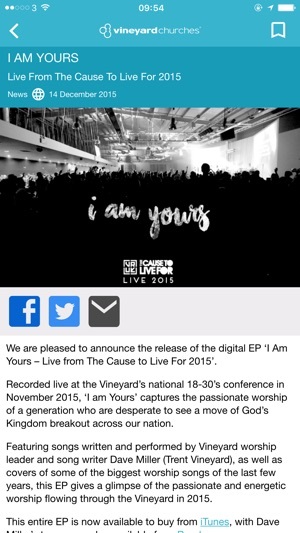 The Vineyard Churches UK & Ireland app brings over 200 Vineyard films and 250 articles to your iPhone, allowing you to read and watch them whenever you want. 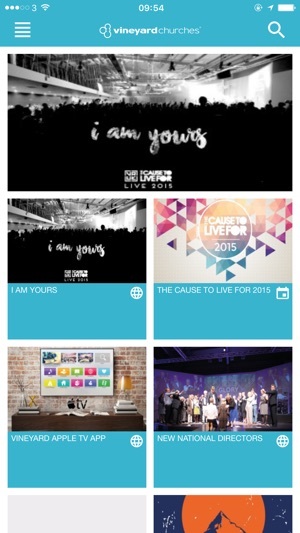 Also included is a Vineyard church finder - find your nearest UK & Ireland church based on your location and get directions; full conference talks from the National Leaders' Conference and The Cause to Live For; music videos from Vineyard Records UK including the worldwide hits from Great Big God; the entire range of our popular Insights films; original articles by Vineyard leaders from around the movement, plus a selection or articles from our vaults including some from John Wimber. Already viewed in 144 countries, Vineyard films are now available on your iPhone for your convenience, designed to be easily watched on the go, wherever you are. This update contains fixes to some problems with Events and the home screen carousel. 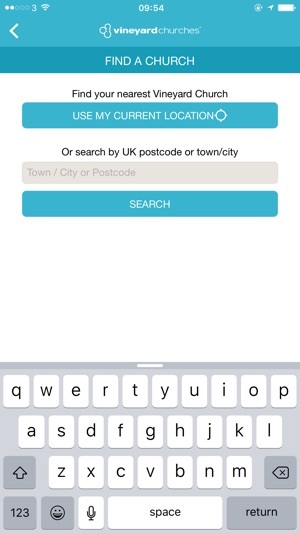 Fantastic app that brings together all the wonderful VCUKI resources under one roof. PLUS: The NLC videos have been arriving in the app on the same day they happened - wonderful work and thank you to everyone who has helped this to happen.